Glasgow Prestwick Airport is delighted that the UK Space Agency (UKSA) continues to support our plans to be one of the UK’s three horizontal space launch sites. 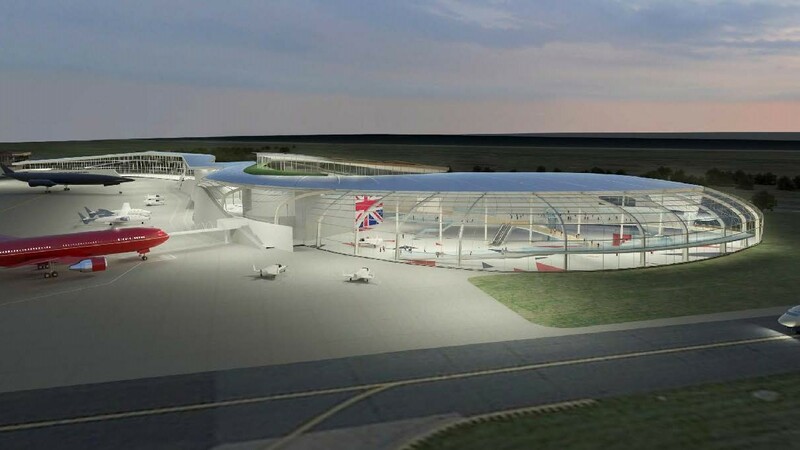 This follows the Space Agency’s announcement that Sutherland will be the UK’s first vertical spaceport, which is a significant step for the UK space industry. We have been working hard with partners over the last 18 months and our concerted efforts will continue as we make horizontal space launch from Glasgow Prestwick Spaceport a reality. We believe Glasgow Prestwick is by far the most suitable spot for horizontal space launch in the UK in terms of location, capability and the thriving satellite manufacturing industry that exists on our doorstep. An independent assessment confirmed that most of the anticipated infrastructure required for space launch capability is already in place at the Glasgow Prestwick Spaceport site meaning that we can move speedily to achieve licencing once the legislation is defined. The news that the Space Agency is establishing a £2m fund to help the three UK horizontal sites develop the market is something we are now actively pursuing and we look forward to working with UKSA, CAA and HSE as we develop our plans and move towards a licence application. The development of a spaceport at Prestwick is a real opportunity for the Scottish and Ayrshire economies. The spaceport project is an integral part of the Ayrshire Growth Deal and will help attract new investment to the aerospace cluster located around the airport, safeguarding existing jobs and creating many new ones. Scotland already has a vibrant space sector with ground breaking R&D work going on in our universities and Glasgow being the home of Clyde Space, Spire and Alba Orbital and manufacturing more small satellites that any other city in Europe. The establishment of a spaceport at Prestwick will facilitate the ongoing growth of these companies and, through the supply chain, stimulate economic growth throughout Scotland the UK. The Scottish Government is keen to exploit the opportunities arising from the massive expansion in demand for small satellite launch and related space activity. It’s great news that the UKSA have agreed to fund development of a vertical launch site in Sutherland and we plan to work closely with Highlands and Islands Enterprise and the Sutherland site to help maximise the benefit of that development for Scotland as a whole. We believe Glasgow Prestwick Airport and the cluster of aerospace companies located around the airport can play a crucial role in supporting operations at Sutherland. “This is great news for the UK space industry and we’re already in contact with colleagues in Sutherland to help support the development of their launch site. “Prestwick is still the most advanced site currently in the running for the UK’s first horizontal space launch and we’ll seek to use the development fund to cement our position. “Our focus will continue to be on supporting our partners to ensure Prestwick can deliver the significant levels of jobs and investment that we know can be realised through our spaceport ambitions. This will be life-changing for our people and our places and create a legacy that will reap benefits for many years to come.